Forty-four genetic variants, 30 of them newly-discovered, are risk factors for major depression, a global research consortium has concluded in a new study that essentially maps out the genetic basis of the mental health disorder. The Major Depressive Disorder Working Group of the Psychiatric Genomics Consortium revealed its findings in the largest study to date of genetic risk factors for major depression, which affects an estimated 300 million people worldwide, according to the World Health Organization. That study, “Genome-wide association analyses identify 44 risk variants and refine the genetic architecture of major depression,” was published yesterday in Nature Genetics. The Consortium concluded that the genetic basis for major depression is shared with other psychiatric disorders, such as schizophrenia, and that all humans carry at least some of the 44 variants identified in the study. Many of these variants, according to the consortium, are directly linked to targets of current antidepressant medications. “We found important relationships of genetic risk for major depression with educational attainment, body mass, and schizophrenia: lower educational attainment and higher body mass were putatively causal, whereas major depression and schizophrenia reflected a partly shared biological etiology,” the Consortium stated in its study. The researchers included data on 135,458 people with major depression and 344,901 controls by combining seven separate datasets. The new study contrasts with previous research efforts that have linked handfuls of genetic variants with depression. Dr. Breen and Cathryn Lewis, Ph.D., a professor of genetics epidemiology and Statistics who is also of the IoPPN, led the Consortium’s U.K. researchers, which included scientists and psychiatrists from the Universities of Edinburgh, Cardiff and University College London. 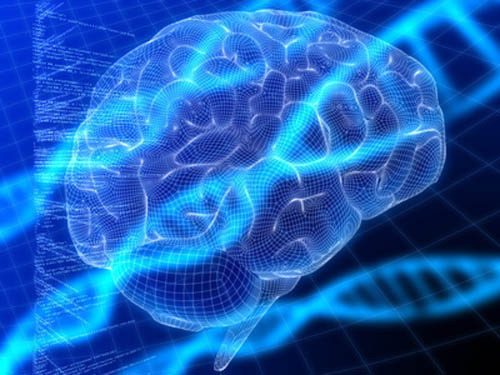 More than 200 researchers worked with the Psychiatric Genomics Consortium, which was led by the University of North Carolina School of Medicine and the University of Queensland in Australia. Dr. Breen is among researchers working to develop an online tool that would allow volunteers with depression to take part in further genetic studies. The tool is expected to be released this fall. Researchers said members of the public who want to be notified about the launch of the study can email darr@kcl.ac.uk.